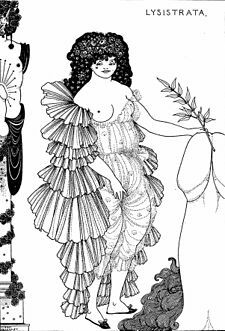 Illustration by Aubrey Beardsley, 1896. Dramatis Personae in ancient comedy depend on scholars' interpretation of textual evidence. This list is based on Alan Sommerstein's 1973 translation. Athenian citizens, Spartan envoys, slaves et al.